I'm ordering an S4 sometime after Tuesday's Apple Event. The Infograph watch face really calls to me. I'd like to put a weather complication on it. The only catch is that I want an app that also puts the temperature in a badge on the phone's home page. I've done some searching and it seems the half-dozen apps I've found with a badge are no longer available, at least in the US store. General weather app recommendations are fine, but I'd really like Watch compatibility and the temp badge. You might want to look at Be Weather 2; it offers the badge you are looking for. I have to say that this isn’t my favorite weather app... it’s got great potential but has some issues. I love Carrot and how it curses at me. Dark Sky and Carrot are good. Carrot I found tends to be more consistent than Dark Sky. By that I mean I run into more issues with the Dark Sky complication than I do Carrot. Carrot FTW! Best and funnest app to add to your phone/watch. I’m curious..what kind of issues are you seeing? I use Dark Sky as the complication on my watch and haven’t experienced any issues. It just don’t always like to load. It used to be worse before, but especially after a reset it takes a while to load the information on the complication. I believe Carrot reloads faster too, gives more current information. Carrot reloads faster if you fed monies to it , I mean subscription. I have subscriptions for Dark Sky and Carrot. I just can’t bring myself to do it...unless Dark Sky takes my features away. I love Dark Sky, but Carrot is intriguing me and I might give it a try. I hear it’s a great app. It uses Dark Sky & Weather Underground for accurate weather. The snark & UI are what a lot of people love!! Carrot also has options to customize app icons, complications and widgets which makes it more compelling over other weather apps I have used. Carrot Weather for me. I also have the ultrapremium subscription for it. I've got Carrot and didn't see any setting for temperature in a badge. This may require Notifications which requires a subscription. I have too many as it is, so no to Carrot and no more. You might want to look at Be Weather 2; it offers the badge you are looking for. Thanks, Annie. I'll check it out. 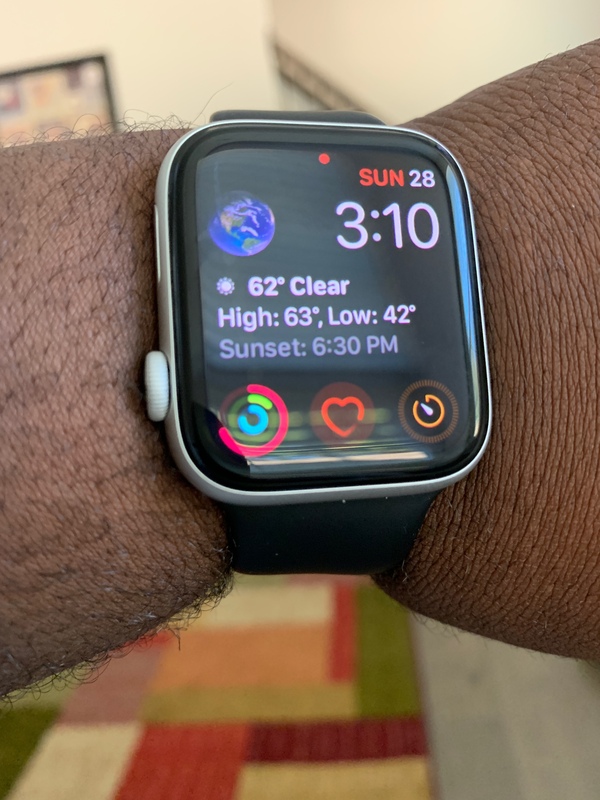 I use BeWeather2 weather app on my Apple Watch. It takes a little time for the custom weather sets to load but the weather is accurate to the iPhone app. Another vote for Carrot Weather. Yes, it's subscription based, but worth it. Plus, it's the only weather app that, for me, updates location on watch consistently and accurately. I think there's a carrot in my future!